In the computer controlled automobile of today, electrical systems are becoming ever increasingly more important. 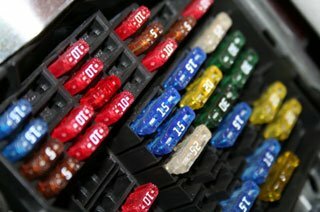 At Lloyd’s Auto Clinic in Kent, Washington we are the premier Auto Electrical Repair shop in the diagnosis of computer controlled systems and electrical circuits. Many automotive repair shops in the local area bring the automobiles that they can’t diagnosis to us for our assistance and expertise in automotive electrical repair or diagnosis. These electrical systems can be extremely complex. However, we have numerous years of experience identifying electrical problems and repairing them on any make or model of foreign or domestic automobiles. Our expertise in electrical diagnosis and numerous years of experience translates into a cost savings for our customers because as we will be able to accurately determine and repair the problem since we have probably seen this electrical problem in the past. On every part of the modern automobile an electrical circuit can be found. These days, automobile manufacturers are using CAN (Computer Area Network) systems to control automobiles. In order to visualize the complexity of these CAN Networks one should consider that there are separate computers for your computer controlled engine components, transmission, GPS system, radio, power windows, and heated seats that are all connected together and communicating with each other. The modern automobile even has electrical circuits in the tires that monitor the tire pressures at intervals in the milliseconds. This requires our ASE certified automotive technicians to keep informed with the latest electrical diagnostic repairs, procedures, and methods by continually attending related training classes. Our ASE certified automotive technicians are experts at electrical diagnosis on all 12 volt electrical systems, HDS (Hybrid Drive Systems), OBDI (On Board Diagnostics I) OBDII (On Board Diagnostics II, and CAN (Computer Area Network) systems. These are the systems that are only used by foreign manufacturers of automobiles such as Hybrid, Hyundai, Kia, Isuzu, Scion, Mitsubishi, Subaru, Mazda, Infiniti, Nissan, Lexus, Toyota, Acura, and Honda. However, we are also highly trained and very knowledgeable with Auto Electrical Repair on domestic automobiles. There are many different components in your automobile that are controlled by the automotive electrical system. These components include your anti-locking braking system, your cruise control system, your lighting system, your power windows, your power mirrors, your instrumentation system, your charging and starting system, your wiring and circuits, and many others. There is a high possibility that a problem with the electrical system in your automobile is the cause if your automobile is having problems with the battery, starter or having trouble starting. The ASE certified automotive technicians at Lloyd’s Auto Clinic are experts at Auto Electrical Repair. They are fully trained on the latest technology and most modern automotive electrical systems, and will have your automobile running smoothly again in no time and have you safely back on the road. The majority of the automobiles today are run by various computer and electrical systems. As a result, the way that auto electrical repair shops diagnose and repair these automobiles has changed. Our ASE certified automotive technicians know what the automobile will require in order to function and be repaired properly and they also understand how to perform an efficient electrical system diagnosis. With this information our ASE certified automotive technicians are able to diagnose the component(s) that need to be replaced or repaired on your automobile during our automotive electrical service. Your alternator, starter, and battery are some of the essential components that are controlled by your automotive electrical system. The ability of your automobile to run properly will be greatly affected if one of these components is malfunctioning. It is important to get your automobile in to have an electrical system service diagnosis done, if your automobile smells odd, your check engine light is illuminated, you are experiencing a difficult time starting your engine, your automobile isn’t starting, or you determine any other signs that your electrical system is malfunctioning. You should contact Lloyd’s Auto Clinic to make an appointment if you are concerned that there might be a problem with your automotive electrical system. We are the premier providers of the most modern technology in the diagnosis of electrical systems.